Penwarne Farm Cafe Group - It's Free! : WoolBasket.co.uk, Wool Basket Online. All you need for Knitting, Wool, Yarn and Haberdashery supplies. running from the lovely Penwarne Farm Cafe. All welcome, beginners too - needles and wool are available, if necessary. 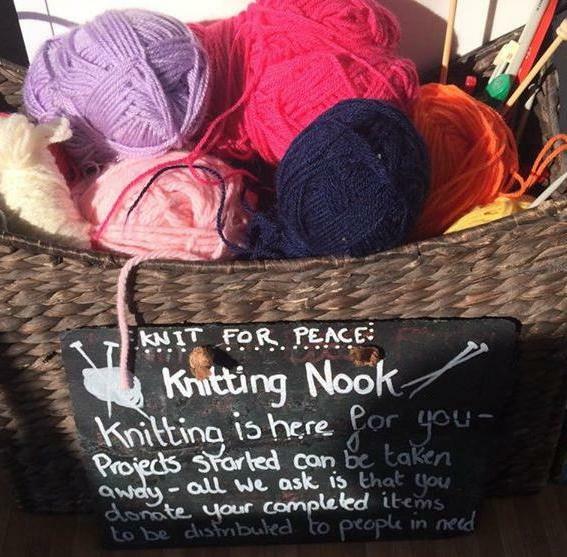 We are currently knitting for Knit for Peace charity but people are free to bring their own projects too. Crocheting is also welcome and any other needle based crafts.